Simon is currently reprising the role of Tommy De Vito in the new UK tour of Jersey Boys after having previously played the role in West End Production. His other credits include Whisper House (The Other Palace), Reverend Billy Hightower in Bat Boy (Southwark Playhouse), Man in Marry Me A Little (St. James Theatre), Liam in I Can't Sing! The X-Factor Musical (London Palladium), Raoul in Phantom of the Opera (London & National Tour) and Enjolras in Les Miserables (Queens Theatre). 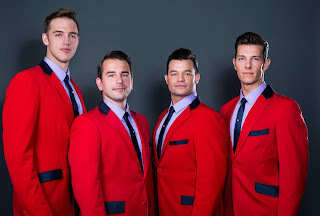 He took the time out of rehearsals before the show kicked off its new tour to speak to us about this upcoming production of Jersey Boys. You’re returning to the role of Tommy DeVito in Jersey Boys after playing it in the West End, now on tour. What made you want to return to this role and show? 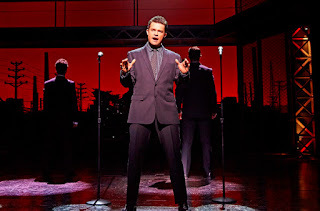 Jersey Boys has been one of, if not my favourite show, since it opened. Tommy is such a great character to play. After the show closed in London, I didn’t feel I was done with him! I’m so grateful to be asked back. How do you think your interpretation of the role could change this time round? Well, we’ve had 8 months off so it feels fresh again – I’m also with different actors this time, so I listen and respond to them differently. That’s the best part of my job. This show has been seen by so many over the years and has experienced fantastic runs across the country. 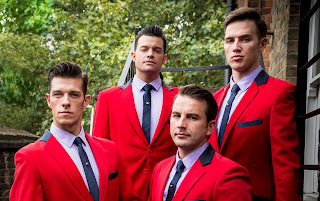 Are you excited about bringing this show back to UK audiences? I genuinely can’t wait. I love seeing new places, meeting new people and I can’t wait for everybody to see this amazing cast! I feel people relate to the story because it’s true. It’s one journey told from four different points of view and you have timeless music interweaving the whole way through. It’s a very special show indeed. Is there a venue that you are most looking forward to visiting? So many! Liverpool has a special place in my heart and my family live in Cardiff, so I can’t wait to go back there. You were last seen in the new original musical Whisper House, how was it premiering a new musical in London? 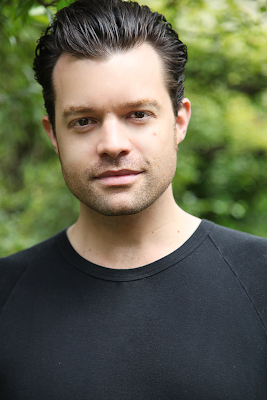 I love being in new work and I jumped at the chance to work with Duncan Sheik, as I’m a huge fan of Spring Awakening. It’s always exciting to premiere a show as you never know how people will respond and there are no rights or wrongs! Your career has been so varied, ranging from classic shows like Phantom to performing in new musical like Whisper House and I Can’t Sing! The X Factor Musical and Jukebox musicals like We Will Rock You and Jersey Boys. Looking back, what have been some of your favourite shows to be a part of? To be honest, I feel very lucky to have been a part of all of those productions – each one has been a favourite for a different reason. And, for you, what have been some of the biggest challenges you have faced in your career? Well, everyday is a challenge! It’s a tough business so I make sure that I work very hard and take nothing for granted. You’re returning to Jersey Boys, would there be any other show you have been in before you’d like to return to? I’d like to go back as Phantom and also Javert in Les Mis – both timeless shows with unbelievable music. Tommy De Vito was the dream role for a long time, so I’m enjoying realising that at the moment. I don’t have any really but ask me again in 2 months! Theatre for me means happiness. It’s my ‘safe place’ and I love being able to transport people away from the troubles in their lives for a few hours. Earning a living from doing what you love doing, is a pretty special thing!